"590.- New Iron R.R. 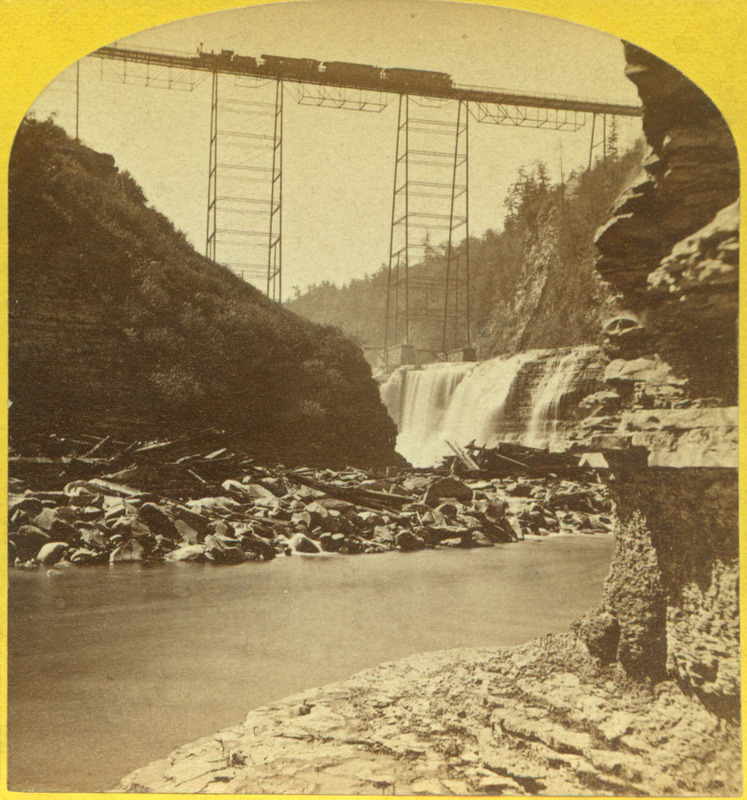 Bridge and Genesee Falls, Portage, N.Y. 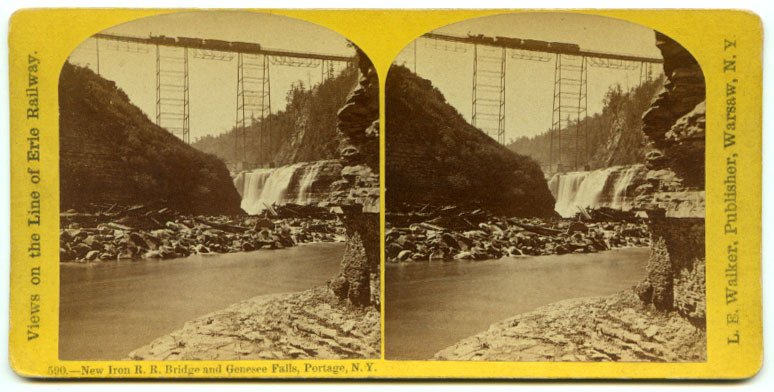 This stereo image was taken from the river bed below the Upper Falls, probably in the late summer of 1875. That spring the great Portage Wooden Bridge had burned and was replaced in record time by the new iron bridge which still stands today. (2009) Charred timbers from the old bridge still lay on the rocks in the middle of the photograph. Click here for more information on the remarkable Portage Bridge. An enlarged version of this image is found below.